A trip to the gannet colony on Cape Kidnappers is a great experience for people of all ages. While the tractor trailer journey is great fun for kids, for some people, the bumpy tractor ride and/or the walk up from the beach to the gannets means that this isn’t an option. Another problem with the tractor trailer is that it’s subject to the tide times. If any of these issues are yours, you might want to consider visiting the gannets by 4WD minibus instead. There is no walking required and the tours depart at the same time (9.30am & 1.30pm) each day. Leaving from the office in Te Awanga, the knowledgable drivers will talk to you for much of the 2 hour+ drive out and back through Cape Kidnappers Station. They talk about farming and the families who have owned the land, the lodge, the wildlife sanctuary and bush as well as about the gannets that call this area home for several months of the year. While young children might not have the same level of interest in the scenery and talk as an adult, there’s nothing to stop them from e.g. listening to headphones, falling asleep or doing anything else that might keep them occupied on a regular drive, so long as it isn’t disturbing the other passengers. 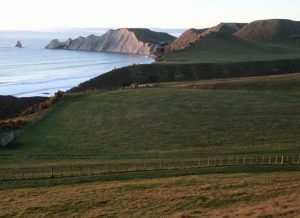 Towards the end of the drive out, the bus pulls over to allow those who want to, to get off and admire the views back towards Napier and out towards Mahia. A little further on, the track seems to lurch out over steep drop offs towards the water. If you’re a nervous passenger, it might pay to keep your eyes closed! The final corner ends with a full view of the gannets as you drive right up to the colony. The summer months from December to February generally see the most number of birds. In these months, you’re most likely to see their different behaviour from courting to sitting on eggs, to looking after the babies. You should also see lots of chicks at various sizes. The bus driver remains on site to answer any questions you might have, while also serving hot tea, coffee and biscuits. There’s usually about 30 – 40 minutes at the gannet colony before everyone re-boards the bus for the drive back. As the trip is mostly in the bus, you could easily do this activity in light rain. The views might not be quite as good and you’ll need a raincoat to get off the bus at the colony but the bus doors are open to return on to the bus at anytime. For sunny weather, take sunblock and hats! 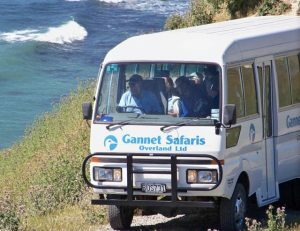 You might want to time a gannet tour to also enjoy lunch at Clearview Estate which is just along the road from where you begin and end the trip. Address: 396 Clifton Road, Te Awanga. There’s a big car park to leave your vehicle while you’re on the tour. Open: Tours operate from 1st September – 30th April at 9.30am and 1.30pm. 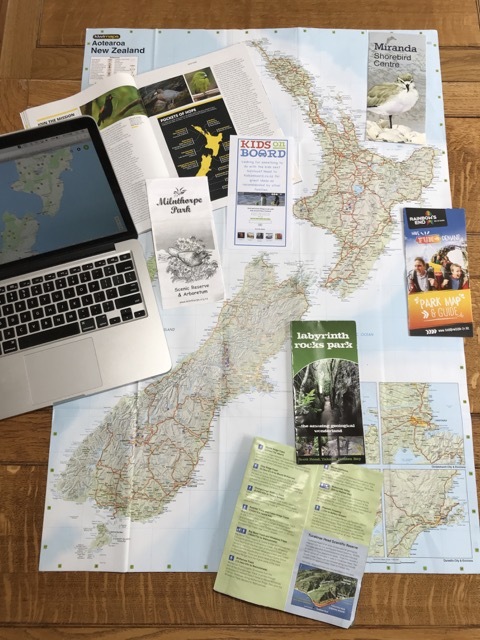 Private tours can be organised at different times within the season. If you’re towards the start or end of the season, it might be worth checking the number of gannets present before you book. You can make an online booking at anytime before the tours depart, subject to availability, via this link. Or call and make a phone booking. Cost: Adults $88, Kids (5 – 15 years) $44, Kids aged 4 and under are FREE.